For the Photographing the World 4 photography tutorial, we wanted to visit new locations that both Elia and the Fstoppers crew had never explored before. 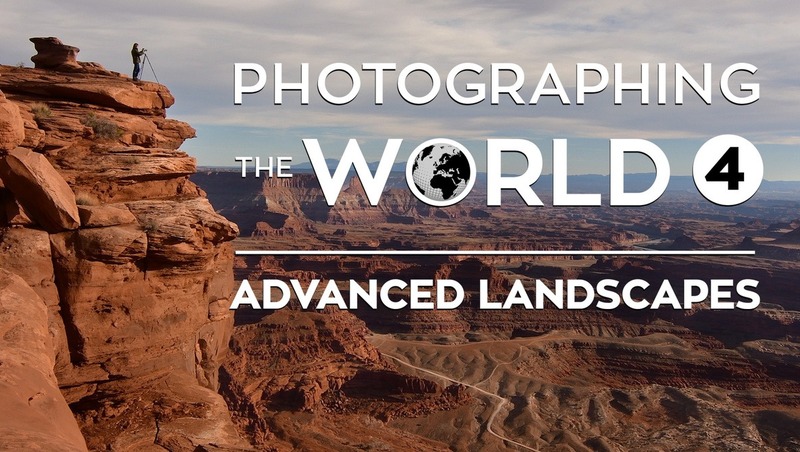 In this advanced landscape photography tutorial , we are excited to be traveling throughout the western deserts of the United States and the mountains of Patagonia in Chile and Argentina. Over the course of the first three Photographing the World tutorials, Elia has explored some of the most beautiful locations in the world including Iceland, New Zealand, Italy, Hong Kong, Cambodia, Dubai, and Singapore. For the Photographing the World 4 photography tutorial, we wanted to visit new locations that both Elia and the Fstoppers crew had never explored before. 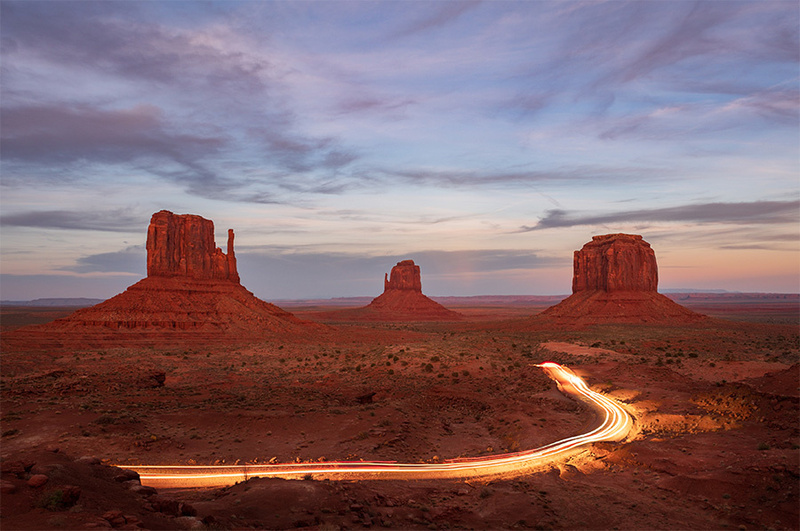 In this advanced landscape photography tutorial , we are excited to be traveling throughout the western deserts of the United States and the mountains of Patagonia in Chile and Argentina. This adventure begins in North America where we explore some of the most beautiful natural wonders of the western United States. 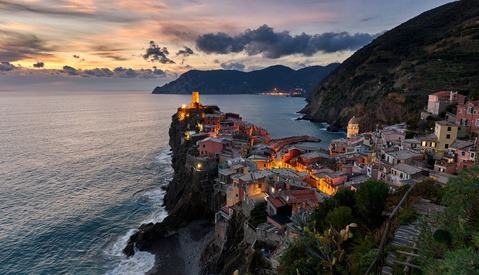 Even though Elia Locardi grew up in the United States, he spends most of his time working internationally and has actually done very little travel through the states. 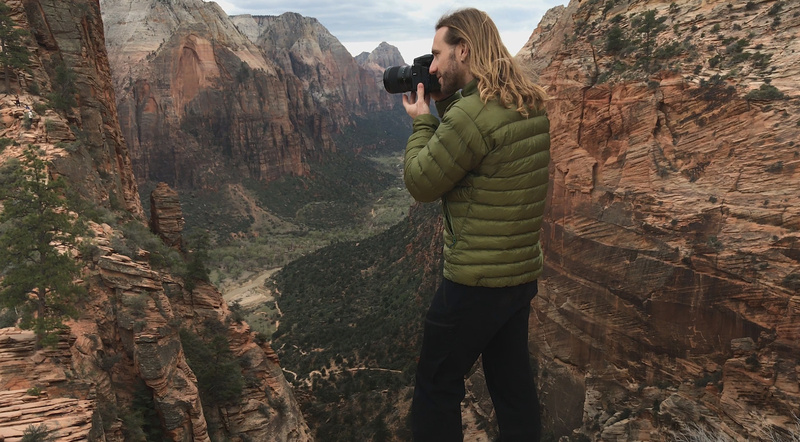 So as he explores these beautiful locations throughout Nevada, Utah, and Arizona, you will be able to learn how Elia scouts and sets up his photographs in areas he’s visiting and seeing for the first time. 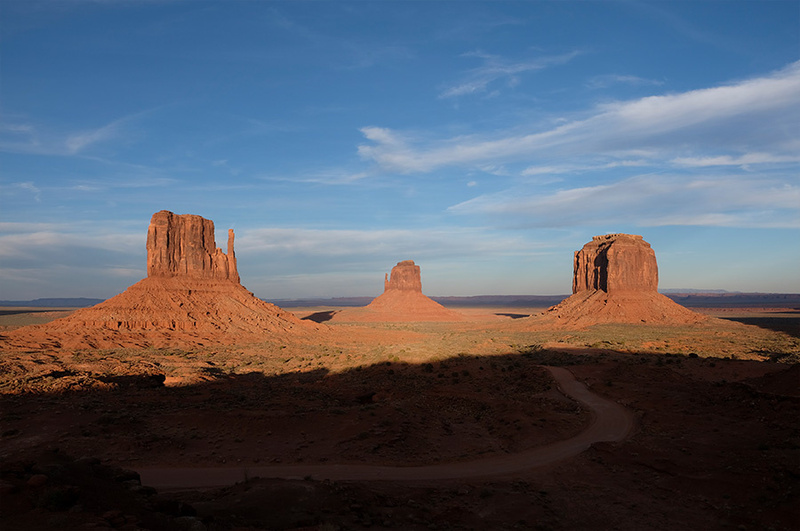 Some of the locations included in this first half of the tutorial include Horseshoe Bend, Mesa Arch, Thor's Hammer, Angel's Landing, and Monument Valley. 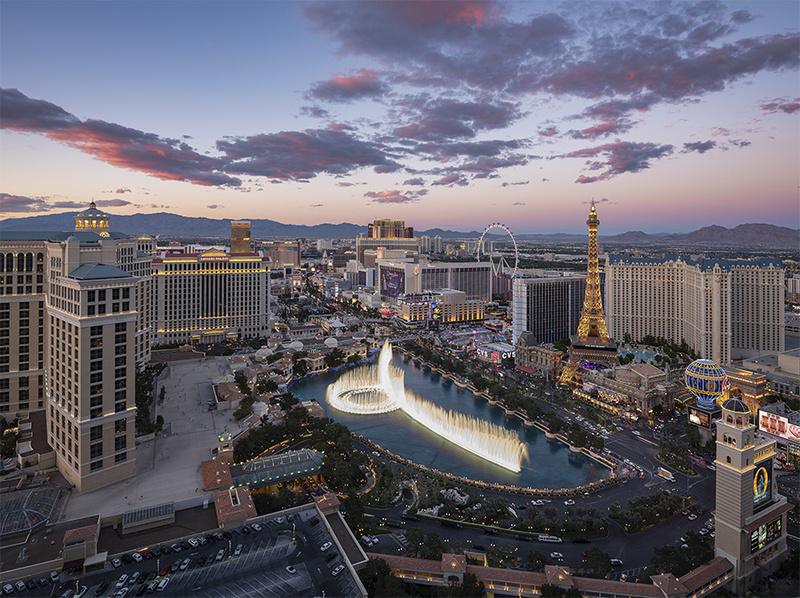 Even though this tutorial is focused on advanced landscape photography and advanced landscape photography post-processing and editing, Elia spends time during one lesson to break away from the landscape theme in order to demonstrate how he tackles one of the most extravagant cityscapes in the world: the Las Vegas strip. After traveling through western US, Elia changes both landscapes and seasons entirely and flies down to South America. 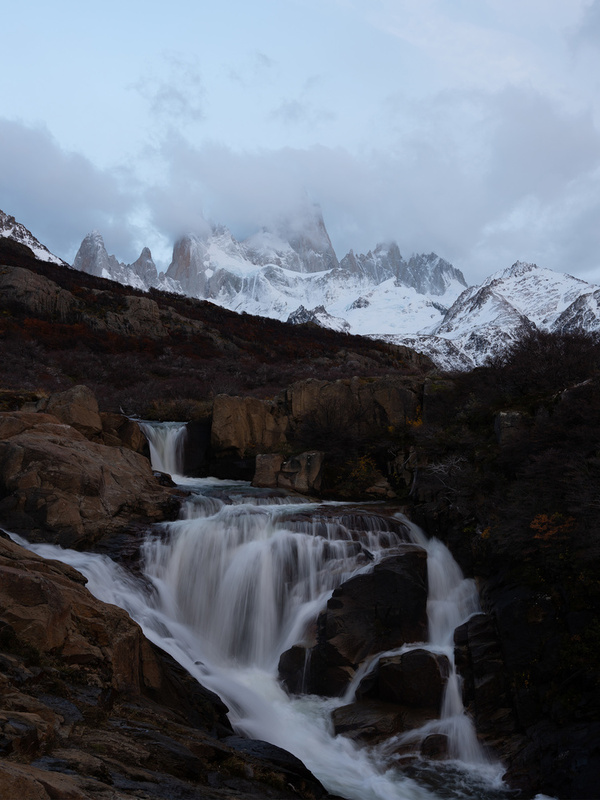 From Santiago, Chile, the crew travels to the the southernmost part of Patagonia to photograph the rugged terrain within Torres del Paine National Park. Here Elia is faced with some of the harshest winds and changing weather conditions he has ever faced during the Photographing the World tutorial production. After photographing the epic mountains within Chile, Elia continues the travel to Argentina as he photographs the grand Fitz Roy mountain in El Chaltén. The journey eventually wraps up back in Chile in the volcano filled countryside of Conguillío National Park. What makes the Photographing the World series so different from other landscape photography tutorials is you get to watch Elia work on location as he faces the unique challenges that each scene offers. Throughout the course of this adventure, Elia will explore 15 completely different shooting environments and explain what is and isn't working for his process and style. Sometimes common challenges present themselves like dealing with poor weather or less than ideal lighting. Other times Elia is faced with unforeseen issues like excessive tourists, moon light, traffic, intense wind, or nearby light pollution. Unlike other lessons in this series, every one of these locations is completely new to Elia which gives you the chance to watch an experienced landscape photographer tackle all of these unique situations for the first time ever, and walk you through the entire process. Throughout Photographing the World, Elia explores new topics and shooting techniques that he has either never shared or that he has perfected over the years. Some of these topics include working with tilt shift lenses to reduce converging vertical lines, creating unique shift panos while also blending moments of time, blending multiple frames from slightly different camera positions to create perspective blended photos, and capturing extreme weather conditions in order to help reveal hidden elements within your scene. 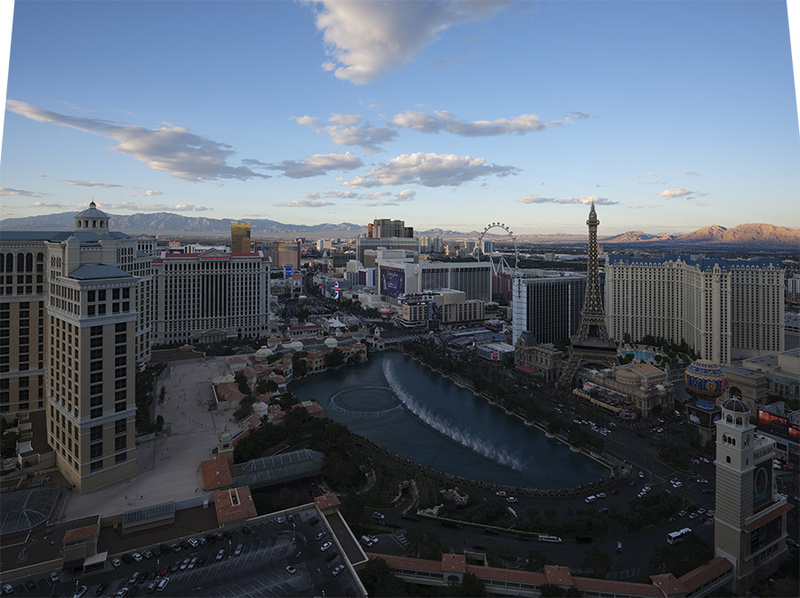 In the before and after example below, Elia also teaches how to create seamless multi panel panoramic images with exposures that are not perfectly matched. 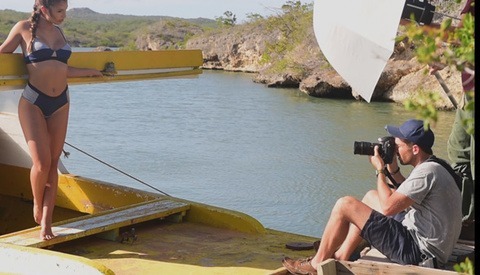 Fans of the Photographing the World series love watching Elia work through each photograph live on location, but perhaps the most valuable part of this series actually takes place long after the images have been captured out in the field. After every photo has been imported, Elia then takes you back to the post production studio where he then makes every photo come to life. Although we try to start each of these tutorials off with simple edits so anyone from any skill level can follow along, Elia quickly transitions into easy to learn yet extremely advanced editing techniques. Whether you struggle with masking in different times of day seamlessly, blending new skies without haloing, adding micro contrast within your mid tones, or bringing color back from an overall dull shooting environment, Elia's mastery of Adobe Photoshop and Lightroom will help you make your own photos look as good as they possibly can. As with most of the Photographing the World photography tutorial videos, Elia showcases some of his favorite software that he uses in his own workflow, but he also teaches how to create the same effects manually if you prefer not to rely on third party plugins or editing panels. 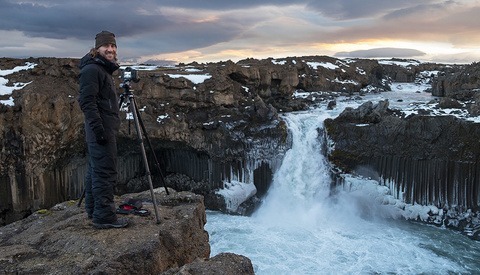 Ever since Fstoppers started traveling with Elia Locardi during the first Photographing the World, we decided to film an entire behind the scenes series that showcases everything that took place when the production camera's weren't rolling. 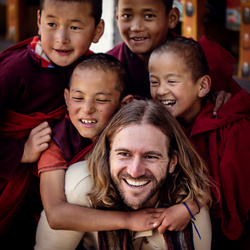 This tutorial is no different, and with Photographing the World 4, you will get 10 brand new episodes of Patrick, Lee, Elia, and Naomi as they travel throughout North and South America. Not only will you get to see when things go wrong with a lesson but you will also get to experience some of the best food, wildlife, and excursions each location has to offer. 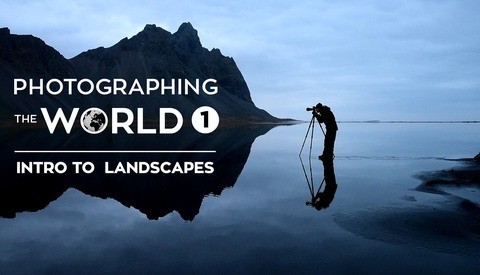 Below you can watch the first behind the scenes episode of Photographing the World 4 for free. 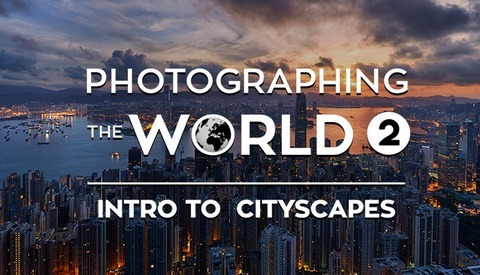 Three Additional Photographing the World Tutorials! 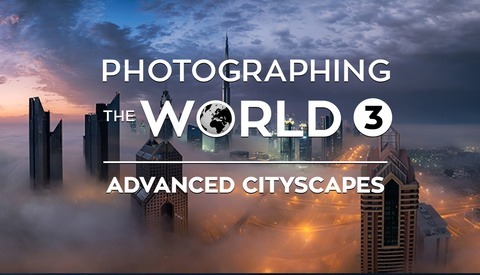 As mentioned above, Photographing the World 4 is the latest photography tutorial video in the Photographing the World series. 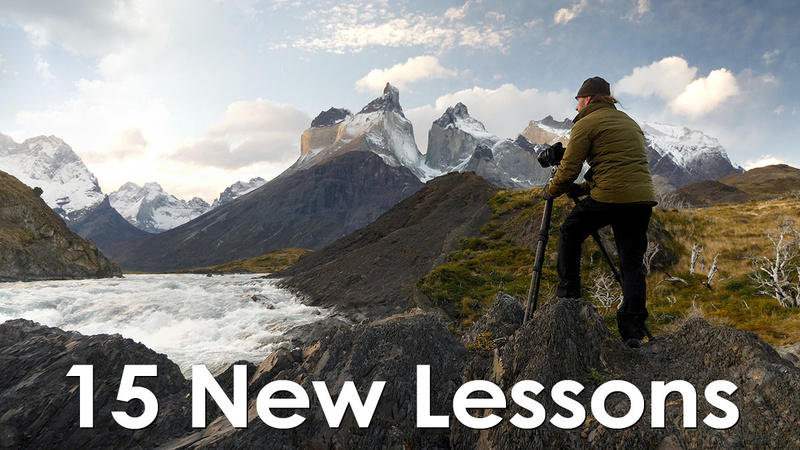 If you are new to Elia's work or are looking for the most comprehensive education on landscape and cityscape photography, we have combined multiple tutorials below with additional savings. For more information on either of these other tutorials, head over to the tutorial page for Photographing the World 1, Photographing the World 2, and Photographing the World 3. If there's a bundle combination that you'd like that isn't listed above, email us at contactfstoppers@gmail.com. You guys have done it again!! Absolutely the best and most beautiful video education anywhere. Now I know what I want for Christmas! Done! Can't wait to start watching! If you're primary interest is cityscape and cityscape post--which video(s) would be the preferable choice? I would highly recommend PTW 2 and 3. They primarily focus on cityscapes, astrophotography, and blending moments in time, while taking you to locations in Singapore, Hong Kong, Cambodia, Italy, Dubai, and New Zealand. Awesome, thanks for responding, Elia--that's what I'll do! Besides LR and PS, what additional software is used in this tutorial? I would like to make sure I have access to the same tools Elia is using. 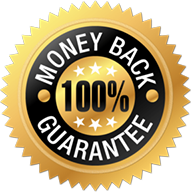 Almost every lesson (save for two) is completed using 100% Adobe Photoshop and Lightroom. Two lessons focus on specific plugins, one for DXO Nik Collection and one for Skylum Luminar. I also use the Nikon D850 and the 19mm tilt shift lens. Thanks. Will you be publishing your thoughts on XT-3? I'm not sure when I'll have the opportunity to publish anything about it, but it's an amazing camera at an incredible price. Elia, Lee, and Patrick have done it again. This time at my favorite iconic locations in Southern Utah. 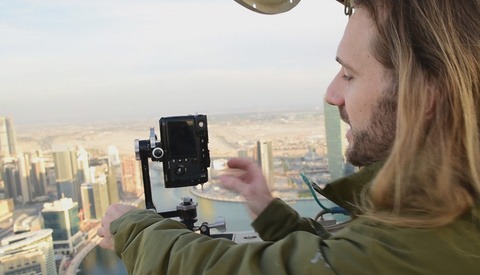 Beautifully photographed and the excellent processing instruction that we've come to expect from Elia. The boys really make you feel like you are right there with them. It will take your breath away as they set up on the edge of the cliffs or hiking up Angel's Landing in Zion. If you've ever been to Southern Utah or are planning to go, you must get PTW 4. Elia finds the best vantage point for photographing Mesa Arch that I've never considered before. It is a joy to watch and learn! If there is any bundle deal that you'd like and it's not listed above, email us at contactfstoppers@gmail.com and we'll get you hooked up. Trying to list every single bundle combination on every sales page got too complicated so we're going to send those links on a case by case basis. I’ll be there next month! When in Saudi Where do you guys meet up at? it was hard to find landscape guys when i was there. Where were your shoots taken at? Loved the behind the scenes, I was waiting for it and wasn’t disappointed. Thank you guys and good luck with the series. Flip Flops???!!! They just invented these amazing new devises called HIKING BOOTS!! Hey Lee, just wanted to let you know I just sent an email to you this evening, just in case it filtered into the Junk. Elia, I bought PTW1 and now I get the bonus for presell. I want a bundle for PTW2, PTW3 and PTW4. This is not existing. Any solution? If there is any bundle deal that you'd like and it's not listed above, email the team at contactfstoppers@gmail.com and they'll get you hooked up. Nice work Elia and Fstoppers! PTW 5: Kauai?? Looks really awesome, i'll put it on my wish list. Elia, congrats on another course! I'll be grabbing this one this evening. Regarding your cameras, I know some of this was shot a while back but I thought you moved to a Fuji system. If you did move to the GFX, do you find the 23mm lens wide enough? Or do you also use adapted lenses? I’m shooting nearly everything with the Fujifilm GFX 50s and I’ve become very comfortable with the 23mm, which is effectively 18mm. It’s wide enough for most situations especially when you consider the 4:3 aspect ratio. Thanks for the insight. Great work on this tutorial! If I'm fairly decent with PS and LR do you think it would be a bad idea to just buy PTW1 and 4? Do you think I would be in over my head with 4? I don't think that is a bad idea. 1 def starts off simple and gets fairly complex. 2-4 are all fairly complex but 4 is more of a supplement to 1 with 2 and 3 being paired together more often. It's starting to get tough making these in any sort of balanced order moving forward. As far as the post processing in this tutorial, how many different images go from start to finish in POTW4? I haven't seen PTW 1, 2, or 3 yet but I'm taking a trip to Grand Teton and Yellowstone very soon so I'd like to get the best bang for my time out of 1 video series. I'm considering skipping straight to PTW 4, is this a good choice or should I start with one of the others? My current level of experience: I've been shooting since 2007 and am a semi-pro wedding photographer.